Grilling whole fish is something we do here on the islands. 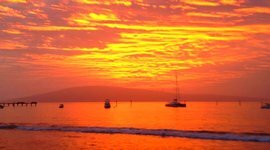 When we were kids we’d go fishing, and clean up some of the fish we caught and heat up some hot kiawe coals and grill away. Kiawe (kee-ah-vay) is our version of mesquite wood, great for grilling. Grilling Maui fish, anywhere in size from 1 to 3 pounds or more is a lot of fun. You get the gang together by the hot grill and converse about life, and of course having a cold brew to go along with that is premium. 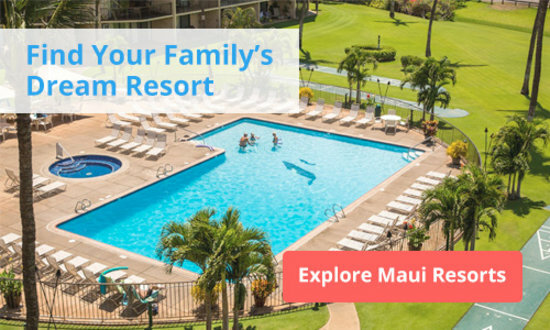 So this is how you can get a taste for how we grill things here on Maui. Locals use simple seasonings that combine Asian influences with tropical fruits. 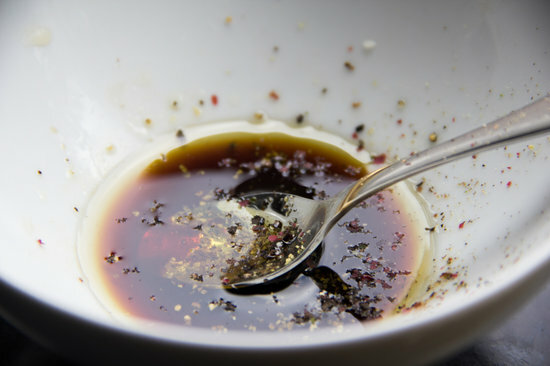 Generally we’ll use soy sauce, sesame oil, oyster sauce, garlic, ginger, and maybe some green onions and combine with fruit juice and raw sugar to make a marinade. Combine ingredients in a bowl or plastic bag. Score the fish on both sides by making a ½ deep incision into the skin. Cover the whole fish in the marinade. Marinate in fridge for 30 minutes to 1 hour. Sometimes we’ll make a stuffing made of mushrooms, onions, Chinese sausage, soy sauce and mayonnaise. Open up the fish, gutted of course and then stuff it, wrap it in foil or ti leaves and then place it on a hot grill and cover. You can find ti leaves in most supermarkets on the island. 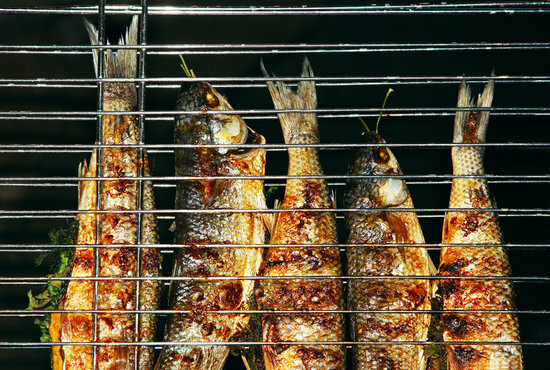 Grill for about 30 minutes depending on size of fish. After 30 minutes, you can open up the wrapper and cook it a little more to get the smokey flavor. We grill a lot with Parrot Fish or as we say in Hawaiian Uhu. 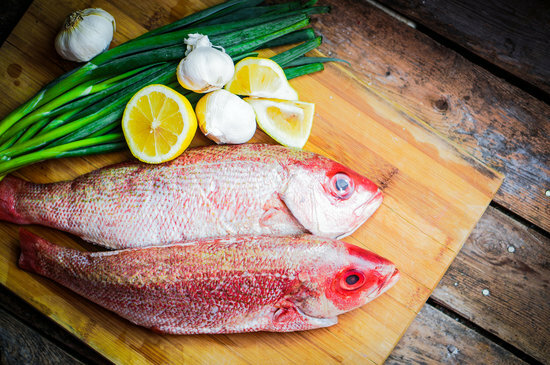 Snapper is also a great Maui fish to grill whole. You can get fish at every supermarket on Maui, but for the really fresh fish, check out the Fish Market Maui. They’ve got new stuff everyday from local fishermen. Now if you’re in Lahaina on the west end of Maui, stop by Frida’s Beach House and try Mark Ellman’s Grilled Onaga Zarandeado. 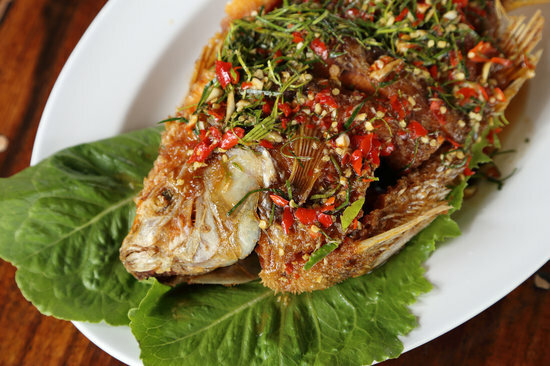 It’s a marinated grilled whole fish, coated in achiote paste, placed in a fish basket and grilled. Then half is brushed with Tomatillo salsa, and served with warm corn tortillas. The finished dish is very tasty, and the aroma from the fresh ingredients is very inviting. Despite its Spanish roots, achiote (ah-chee-oh tay) paste is used in a lot of local Hawaiian style cooking. Filipinos use it a lot to make sauces as well as color foods red. 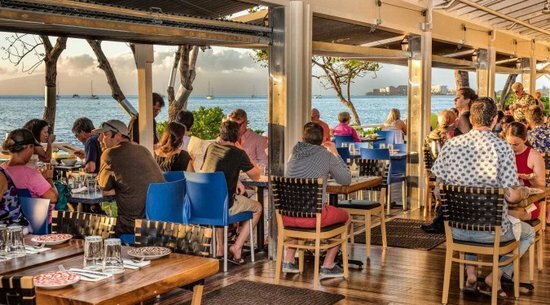 Mark’s kitchen always uses fresh ingredients, and Maui fish caught by local fishermen. Frida’s has some awesome ocean views, great for sunset drinks as well. Mark and his wife Judy own a trifecta of restaurants, including Frida’s Beach House, Honu Seafood & Pizza, and Mala Ocean Tavern. 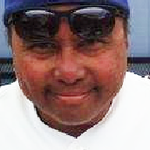 At present, Ron Sambrano lives on Maui, has his own cooking show on Akaku TV, as well as a food blog. He loves cooking and hanging around foodies, chefs, and mixologists, but more than anything just enjoys eating good food with good people and learning more about cuisine.